The Buccaneers have signed LS Garrison Sanborn to a one-year contract, per Greg Auman of The Athletic. 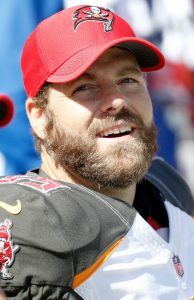 Sanborn served as Tampa Bay’s long snapper last season after an eight-year run with the Bills. 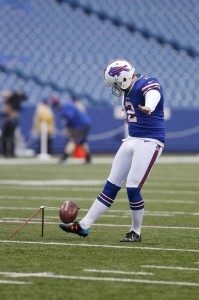 Since signing with Buffalo as an undrafted free agent in 2009, Sanborn has not missed a single game. Despite Sanborn’s experience, the Bucs appeared content to go into the 2018 campaign with Drew Ferris — who has no regular season NFL experience — at long snapper. However, Ferris had a bad snap in the team’s Friday night preseason loss to Detroit, which led to a missed extra point. That was apparently all the Bucs needed to see to bring back Sanborn and to create a roster battle. Presumably, both Sanborn and Ferris will get an opportunity to prove their worth during Tampa Bay’s preseason finale on Thursday. The Bucs had three openings on their roster, so they do not need to make a corresponding move. Sanborn is a Tampa native and played his collegiate ball at Florida State. Free agent signee C.J. Anderson will likely be the Panthers‘ lead “traditional back,” according to Jourdan Rodrigue of the Charlotte Observer. Anderson, who inked a one-year deal worth $1.75MM, is coming off a 1,000-yard season with the Broncos, but he struggled as an early-down rusher in 2017. Still, that’s the role he’ll take on in Carolina as 2017 first-round pick Christian McCaffrey performs in a passing game role. McCaffrey should keep up his receiving work after managing 80 receptions during his rookie campaign, but Rodrigue reports McCaffrey was never able to “find a rhythm” in the running game. Whether that can change during the upcoming season is unclear, but McCaffrey will now have limited reps thanks to Anderson’s presence. The Titans could be setting up a position battle at left guard, as Jim Wyatt of TitansOnline.com writes. Quinton Spain started 14 games a season ago and is back under contract after inking a second-round restricted free agent tender, but Tennessee also signed Kevin Pamphile and Xavier Su’a-Filo, and either could see snaps on the interior. Spain has a better track record than either player, but a camp battle appears likely, per Wyatt. Pamphile’s versatility could come into play, as his ability to play left tackle could keep the Titans comfortable if incumbent Taylor Lewan continues to hold out. Given that they have vacant roster spots, the Buccaneers might aim to sign a long snapper before training camp opens next week, per Greg Auman of the Tampa Bay Times (Twitter links). At present, Tampa Bay only has one long snapper under contract, and that player — Drew Ferris — has never made an NFL appearance. Still, the Buccaneers have yet to contact Garrison Sanborn, a nine-year veteran who snapped for Tampa in 2017. In case you missed it, the Falcons are not open to giving wide receiver Julio Jones a new contract and are instead focusing on extensions for other players. Veteran Panthers linebacker Thomas Davis now hopes to play behind 2018 after previously hinting he could be nearing his final season. TUESDAY, 3:18pm: According to Brian McIntyre (via Twitter), Sanborn’s new three-year contract includes a $550K signing bonus, a slight bump up from the $530K bonus he got on his last deal. That’s the only guaranteed money on the extension. FRIDAY, 5:51pm: Sanborn’s new deal is worth $3.3MM, or $1.1MM annually, according to Buscaglia (via Twitter). That’s a slight bump up from Sanborn’s last contract, and makes the Bills long snapper one of the league’s top five highest-paid players at his position. 5:31pm: The Bills have reached an agreement on a three-year contract extension for long snapper Garrison Sanborn, a source tells Joe Buscaglia of WGR 550 (Twitter link). The new deal ensures that Sanborn, whose contract was set to expire at season’s end, is locked up through the 2017 season. 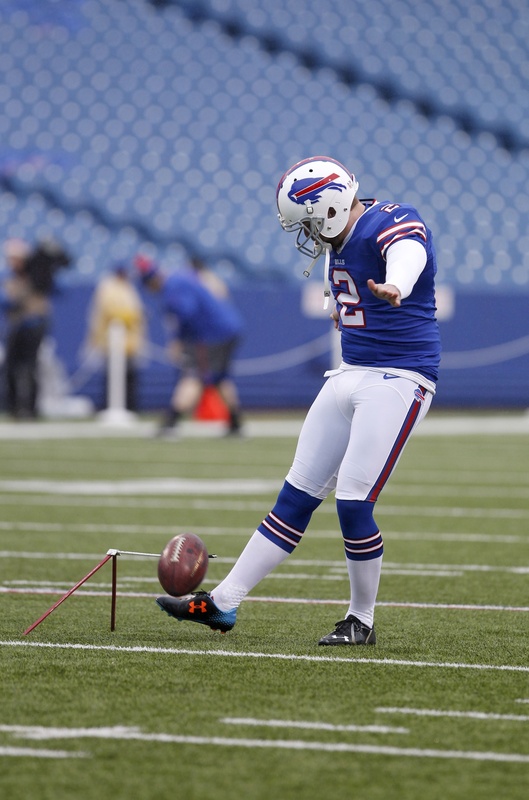 Sanborn, 29, has been the Bills’ long snapper since joining the club in 2009. His most recent contract, a three-year pact, included a $530K signing bonus and annual workout bonuses of $25K, in addition to base salaries that exceeded the minimum. Assuming the Bills are still happy with his performance, we can probably expect similar numbers this time around, though terms have yet to be reported. Sanborn’s extension is the latest roster move for a Bills team that also announced 10 cuts and placed three players on injured reserve earlier today.